MPC Cleaner, also known as More Powerful Cleaner, is classified as a potentially unwanted application. It was developed by DotC United Inc., a company that is located in Hong Kong. The official page of the application, mpc.solutions, states that it is an optimization tool that can help you cleanup junk files and online traces in order to protect your privacy. 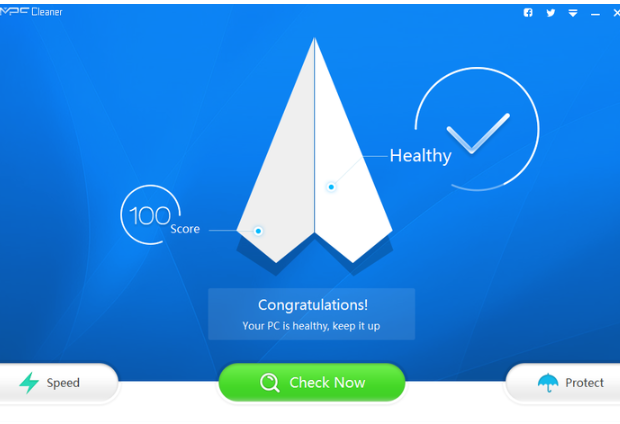 The software is also supposed to speed up your PC, protect your browser settings, block malicious websites and plugins, remove unwanted ads, and improve your computer’s performance in general. All of these features seem extremely useful, however, there is a reason why the program is classified as potentially unwanted. If you do not find this tool useful, you should terminate MPC Cleaner without hesitation. How does MPC Cleaner work? Currently, MPC Cleaner can be downloaded from its official webpage, however, it may also get distributed in free third party software bundles in the future. It is always important to pay attention to freeware installation process, otherwise you may end up with various potentially unwanted and ad-supported applications on your computer without even realizing it. Make sure that each time you install free software, you choose Advanced or Custom installation mode and decline all additional offers of unfamiliar programs presented to you in the installation wizard. Once MPC Cleaner gets installed onto your computer, it performs a full system scan. The utility mainly detects junk files and empty registries. It cleans these entries without asking you to purchase the full version of the software, unlike some of the other potentially unwanted programs. However, you should know that the application can download other files and programs that belong to the same company onto your PC and install them without your permission. Moreover, the tool may collect information about your online habits including your visited pages, made search, IP address, and so on. Although it does have certain positive features, the utility may also act in a suspicious way. That is why you should seriously consider MPC Cleaner removal. How to remove MPC Cleaner? Since it is not a malicious program, you should be able to delete MPC Cleaner from your computer via Control Panel. If for some reason you are unable to uninstall MPC Cleaner manually, you should go with the automatic removal option. It requires you to implement an anti-malware utility. You can download the malware remover from our page and use it to scan your system. It will detect all potential threats and erase MPC Cleaner along with them. In addition to MPC Cleaner removal, the security tool will also stay useful in the future. It has a variety of other beneficial features including real-time online protection that will help you keep your computer safe and protected as long as you keep it installed and updated.